Chief Meek has more than 41 years of experience in the fire service. He began his firefighting career in the Navy, serving for four years assigned to the U.S.S. Enterprise from 1975 through 1979. On May 1, 1980, Chief Meek was hired by Fire District 7 under the Comprehensive Employment and Training Act (CETA). After completing the 18 month CETA program, he was hired by Fire District 7 as a full-time firefighter. He worked his way through the ranks with a promotion to Lieutenant in 1983, Battalion Chief in 1985, and came off the line to become a Deputy Chief in 1991. In 2000 he was promoted to Assistant Chief, where his primary responsibilities were administrative services and fire prevention. 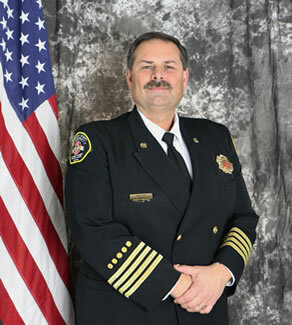 After serving as the interim Fire Chief for nearly two years, he was appointed to the permanent position in February 2013. Chief Meek resides in Fire District 7 with his wife. They have four grown children and six grandchildren. Assistant Chief Jamie Silva has been in the fire service for 29 years. He started as a volunteer firefighter with Snohomish County Fire District 3, also known as Monroe Fire Department, in 1987. Assistant Chief Silva was hired as a full time firefighter by Fire District 3 in 1988. He was promoted to Battalion Chief in 1995, Assistant Chief in 2004, then became the Fire Chief April 1, 2004. Assistant Chief Silva was the Fire Chief of Snohomish County Fire District 3 for 12-1/2 years before the district merged into Fire District 7, effective October 1, 2016. 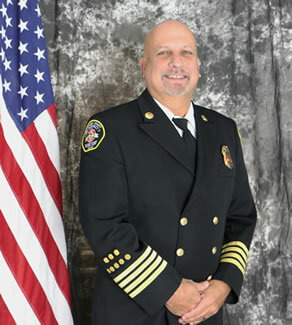 He then transitioned into the role of Assistant Chief of Administration for Fire District 7 overseeing Finance, Human Resources, Community Risk Reduction, Safety and the Administrative Personnel. Assistant Chief Andrews has been in the fire service since 1976 where he started as a volunteer with Snohomish County Fire District 26. He attended Bates Technical College Fire Service Training program after graduating from High School. Assistant Chief Andrews was hired by Snohomish County Fire District 7 in July of 1978 as one of the only two full time employees at the time. He currently holds the position of Chief of Operations for the fire district. Assistant Chief Andrews serves as the regional coordinator for the Washington State Fire Defense committee coordinating resources for all major incidents in Washington State from a five county region. He also serves on the Northwest Incident Management Team as an Operations Section Chief. He holds an A.A. in Fire Science from Edmonds Community College. Assistant Chief Guptill has been in the fire service since 1989 where he started as a volunteer with Monroe Fire District 3. In addition to being a volunteer firefighter/EMT, he worked as a mechanic for the department. He was hired full time as a mechanic in 1991 and then as a full time firefighter in 1994. In 1995 he was promoted to Captain and tasked with merging the mechanical services divisions of Fire District 3 and Fire District 7 starting the regional shop program. In 2004 he was promoted to Deputy Chief and tasked with expanding the regional shop program into what is now the East County Fire Support Services Division (ECFSS). Later that year, Guptill was promoted to Assistant Chief and took over Operations in addition to Support Services. Assistant Chief Guptill is currently in charge of support services which include the oversight of the district's regional shop services, communications, facilities, purchasing and technology. 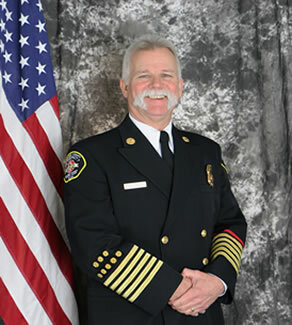 He currently serves as the chair of the Snohomish County Fire Chief's Operations committee. He is also the current Chair of the SNOPAC Fire Technical Advisory Committee (TAC) and is the current Board President of the SNOPAC Board of Directors. Deputy Chief Dorsey has been in the fire service since 1989 where he started as a volunteer with the City of Edmonds Fire Department. Soon after that he moved to Fire District 7 and was hired full time in 1992 as a Firefighter. His current position as the Deputy Chief of Emergency Medical Services (EMS) oversees all medical operations within the department. Deputy Chief Dorsey serves on several different boards and committees that help advance EMS both locally and at the state level. He currently serves as the second vice chair of the Snohomish County EMS Council. Deputy Chief Dorsey chairs the Washington Emergency Medical Services Information System committee at the Department of Health. 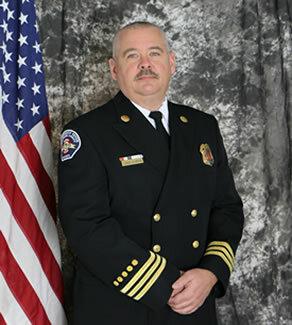 He also chairs the EMS Section of the Washington Fire Chiefs Association. Prior to joining the Fire Service, Deputy Chief Dorsey completed a B.A. in theology. Since that time, He completed an A.A. in Fire Science and most recently completed an M.S. in Healthcare Informatics. Deputy Chief Clinton started in the fire service in 1987 as a volunteer firefighter. He was hired as a career firefighter with Snohomish County Fire District 7 in 1993. He progressed through the ranks to his current position as the Deputy Chief of Training and Special Operations. Deputy Chief Clinton supports the fire service at large through his service on numerous local and national committees and work groups. He holds the Chief Fire Officer (CFO) and Chief Training Officer (CTO) designations from the Center of Public Safety and The MIFireE designation from the Institution of Fire Engineers. He has completed A.A. degrees in Administration of Criminal Justice, Fire Command and Administration, Fire Investigation and Fire Science. He holds a B.S. in Fire Science and a M.S. in Leadership with an Emphasis in Disaster Preparedness and Executive Fire Leadership. Deputy Chief Clinton completed the National Fire Academies Executive Fire Officer (EFO) program. He has also attended the Harvard University, John F. Kennedy School of Government Senior Executives in State and Local Government program along with other programs offered by the Kennedy School of Government. Deputy Chief Fitzgerald has been in emergency services for 30 years. He is the fire marshal for the City of Monroe and serves the City of Mill Creek. 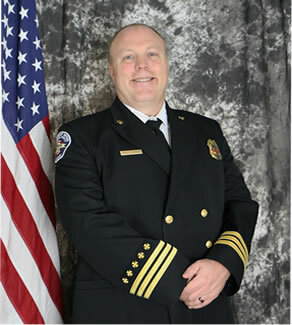 In his current role with Snohomish County Fire District 7 he is the program manager and oversees the Community Risk Reduction Division which is compiled of code compliance, public education, community relations, and pre-incident planning. 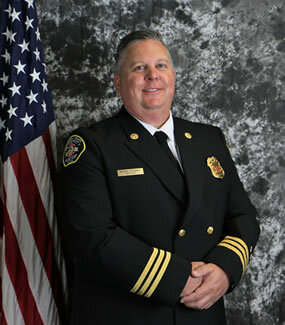 Deputy Chief Fitzgerald serves as the President of the Northwest Washington Chapter of the International Code Council, and is the President of the Snohomish County Fire Prevention Association. He holds an Associate's Degree in Fire Command Administration, a Bachelor's Degree in Paramedicine, and is studying Public Administration as a graduate student.